Find fun things to do in North Lake Tahoe, California. 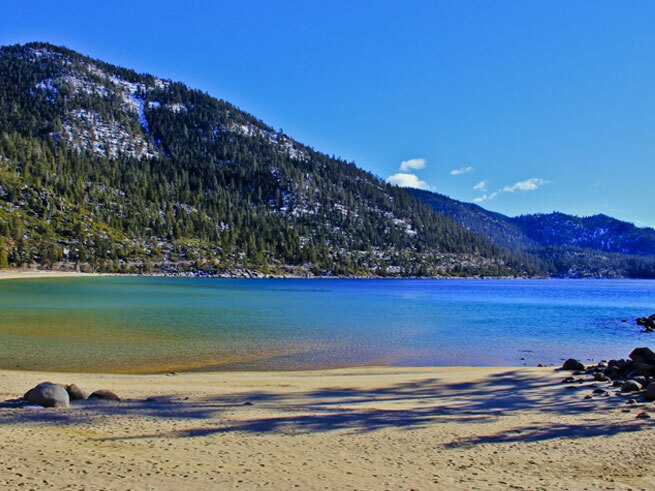 There’s a fabulous variety of totally fun tourist attractions and things to do in North Lake Tahoe to suit every taste, from skiing and snowboarding in winter to fishing and water sports in the summer. Plus, there is plenty of dining, shopping and activities when it’s time to come inside. Whether you’re looking to hit the slopes or hit the shops, restaurants, spas or the casino tables, you’ll find it all in beautiful Lake Tahoe, California. The Squaw Valley Lodge provides the perfect spot to experience it all! The Truckee River aspens on fire on a cozy, fall day. Tahoe locals like to talk about the three seasons you’ll find here: winter, summer, and construction. Although it may seem like Mother Nature skips over fall and spring, we’d like to reveal one of Lake Tahoe’s best kept secrets: autumn. 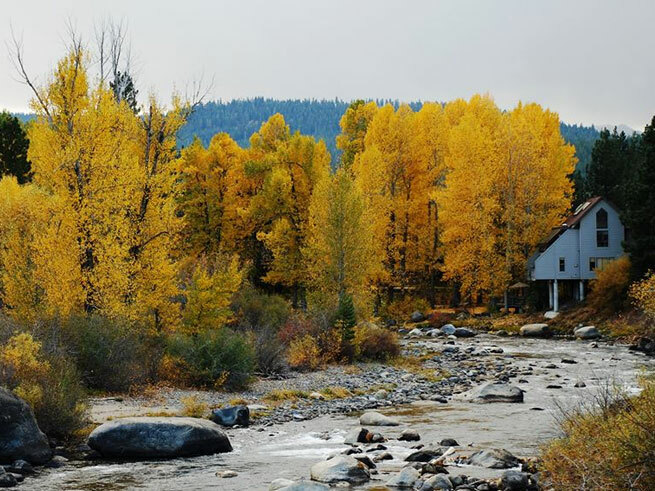 The aspen trees are ablaze in yellow–endless meadows and vistas of orange. The days are still long enough to hit the trails after work. Highway 89 isn’t a parking lot. Local restaurants and grocery stores are not zoos. There is a slight chill in the air, the Tahoe sky is on fire with cotton candy sunsets, and the hopeful anticipation of an epic winter is palpable. The animals are preparing to hunker down while you sip spiced lattes or mulled wine by the fire. Here are some fun family activities and events to check out in Tahoe City, Squaw Valley, and Truckee! Remember, this is a great time of year to take advantage of low rates at Squaw Valley Lodge! Let our Reservation Agents help you book your fall respite today. Lake Tahoe Shakespeare Festival: Last Chance For Summer Family Fun! View of Sand Harbor looking toward South Lake Tahoe. Image via Alena Grace Photography. The dog days of summer are winding down with kids back in school (or on their way this week), which means it’s the perfect time to soak up every last drop of fun! There are still many family friendly activities and things to do in Lake Tahoe or Squaw Valley before the school bells ring. Do you love theater? Do you love being outdoors? How about a beautiful sunset at Lake Tahoe with a delicious picnic and glass of wine? How about all three! The Lake Tahoe Shakespeare Festival at Sand Harbor is one of the region’s most sought after summer events for the whole family, held at “the most scenic venue in the world.” That’s a bold statement, but not a stretch, as you gaze across the pristine waters of Lake Tahoe during the show – it’s an enchanting cultural experience that shouldn’t be missed! The 2014 season featuring Shakespeare’s romantic comedy, “As You Like It,” closes tomorrow, Sunday, August 24. Ticket are still on sale here! For a guide to the festival, with everything from seating to parking to food, click here. Since the plays generally end around 10:00pm, you’ll need a place to rest for the evening. Our Squaw Valley Lodge Reservation Agents are ready to assist you with the best rates possible! Contact us today.